2.3 Overview isn't finished yet - right? Of course, now that we've posted Getting To Know Android: Lollipop Edition, it's time to get picky and have a look at the things that still need fixing. As always, we'll be running through some of the issues hanging around in the latest iteration of Android, and taking a look at what's been fixed since our last Stock Android Isn't Perfect post. Lollipop, as I said in the other post, is probably the biggest change Android has ever seen, so some issues from KitKat have simply disappeared, while others have been fixed in their own ways. We'll take a look at what's changed from our last SAIP entry, and then continue on with the new nitpicks as necessary. Without further ado, let's get started. In SAIP for KitKat, I explained that the revised recents entries made more sense than their predecessors - thumbnails represented the last activity you'd worked with, and attached the app name and icon of the app that referred you there. In practice this could still get confusing, logical as it might have been. After all, I could share to Keep from four different apps, and have entries for those four apps, each with a Keep thumbnail. 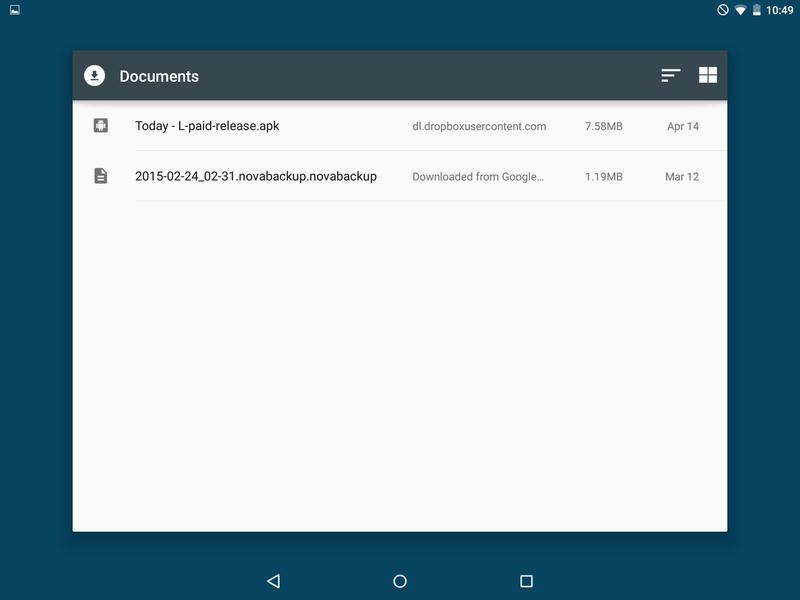 But in Lollipop, with Android's document-centric overview interface, this has been completely remedied. If I share to keep from four different apps, I will get entries for those four apps showing the activity just before sharing, and four entries for Keep, each showing the corresponding note I created by sharing there. Certainly this is the most clear way of doing things. 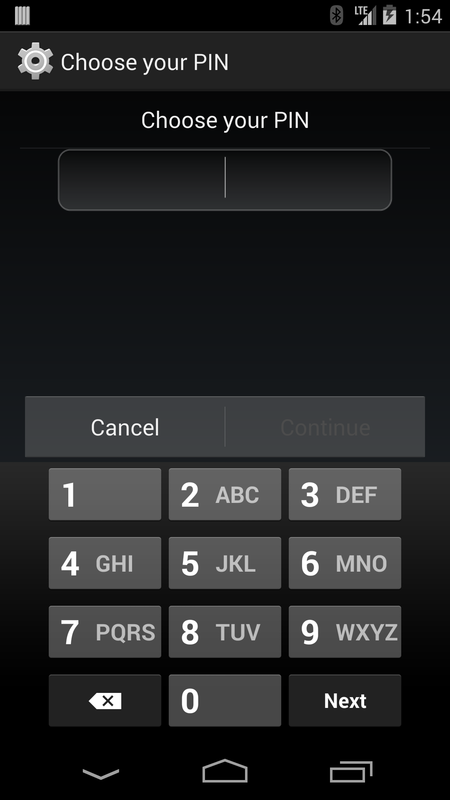 Since at least Android 4.2, settings shortcuts placed on the home screen didn't spawn recents entries. 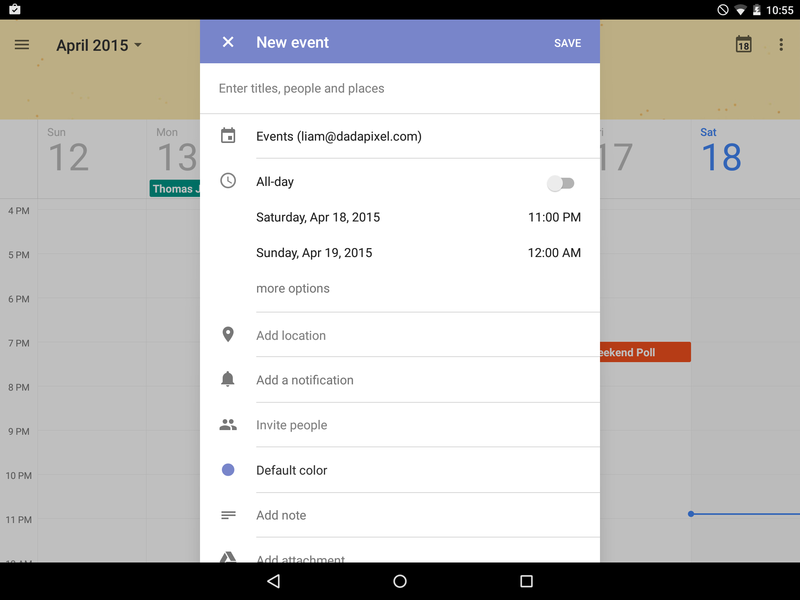 In Lollipop that has been fixed up - you'll get an overview card for settings shortcuts. Since our last SAIP, the camera app has become Google Camera, joined the Play Store, and received a totally new interface, finally ditching the halo-style, stair-stepping interface of cameras past. This one lingers on, unfortunately. The widget picker is still woefully hard to navigate and really not as informative as it could be. 1x1 widgets are usually shortcuts, but they are all shown as "1x1" with an icon only. 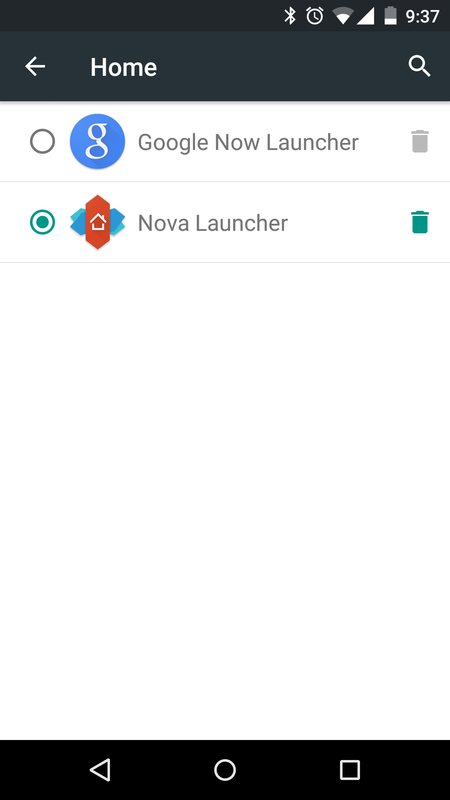 Shortcuts have a larger, translucent version of the icon behind them in Google's Launcher, but the labels don't do much to clarify. And the horizontal pagination keeps things going at a snail's pace. Want to add a widget from an app whose name begins with the letter Z? Call me when you get there. This one is easy - the new lock screen doesn't have a traditional nav bar. It has a lock icon and shortcuts to the camera and phone apps. When you pull down the quick settings panel, there's nothing in that area at all, which is great. We knew this would happen eventually, and we even got word of it a little early, but in May of last year, Google finally got around to triggering actual timers (instead of setting an alarm) for "timer" voice commands. Okay this one is weird. 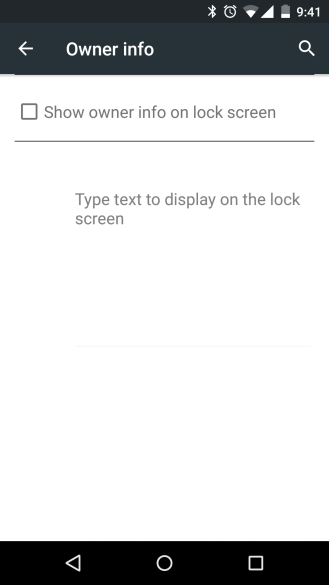 If you access a photo by swiping from the camera interface, there's no status bar, but if you access the same photo from the gallery app, there's a status bar. The reason it's weird to still see this behavior in Lollipop is that both the camera and gallery apps have been totally replaced. Camera - as already noted - is now Google Camera and gallery is now Photos. So theoretically this behavior should have been fixed since neither of the offending apps from before are involved this time around. 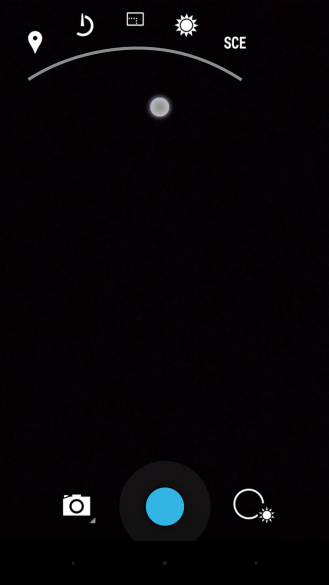 Also odd is that the from-Camera interface has a gray background, while the from-Photos layout is black. The only thing this writer can assume is that the behavior is intentional. Perhaps the team behind camera thought that a status bar appearing would be too disruptive since the capture interface is partially immersive. But then the photos team should hide the status bar in the individual photo review interface, right? There's not a clear answer here. 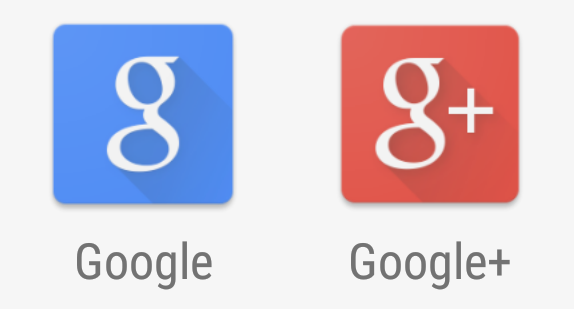 With Lollipop and material design, Google has introduced keyline shapes for launcher icon design. This is great news not only for disastrously inconsistent icon design that's been present on Android for so long, but also because Google has followed this part of its guidelines and its square icons match. 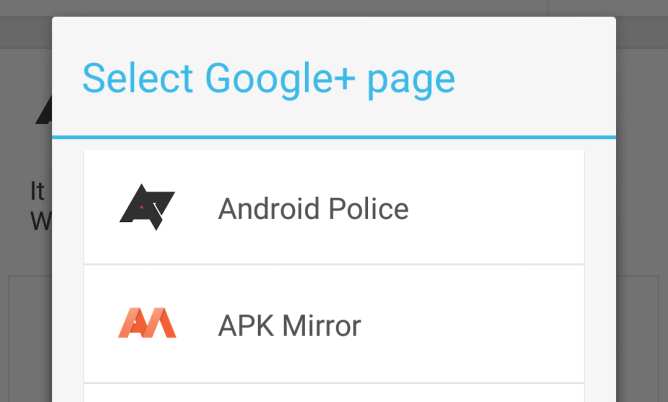 Of course, there are only two of those now, ever since Google Settings changed to a gear shape. 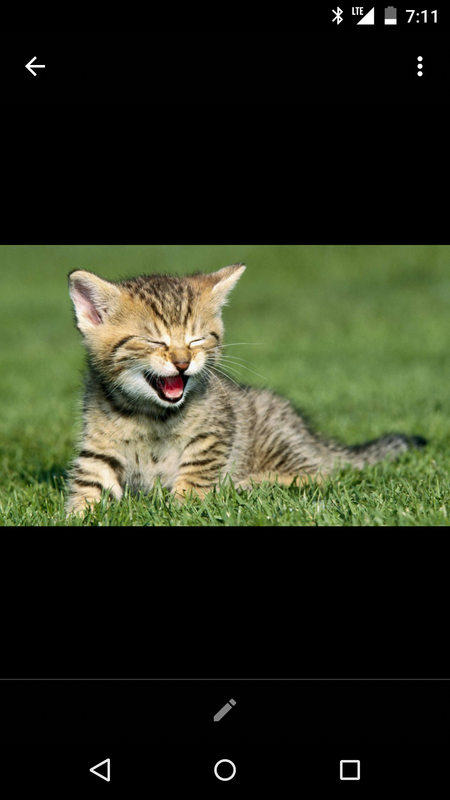 But still. In the previous SAIP, I noted that - while their proliferation was visually appealing - cards didn't really foster the kind of consistency I expected from them. Actions, interactions, and hierarchical placement weren't really uniform across the platform. 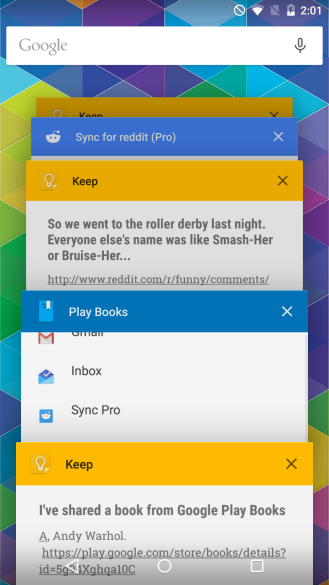 With Lollipop and the material design spec, Google is at least trying to fix this. 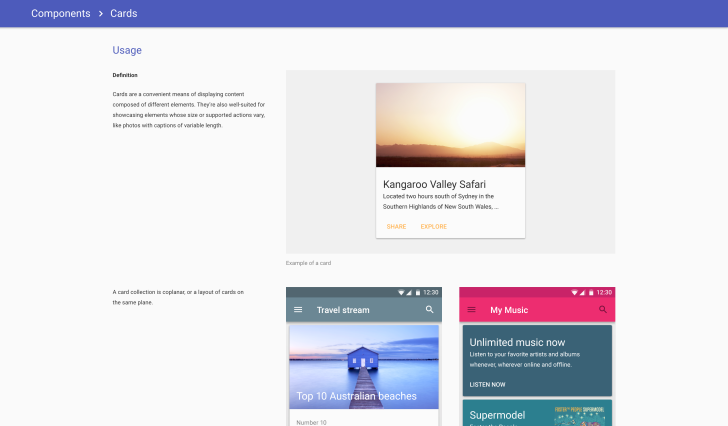 Google, as part of its exhaustive effort to shape guidelines for developers and designers, has laid out a fair bit about when to use cards, how to use them, what they should look like and contain, and how they should behave. This is great news, but it's up to Google and third-party developers to adopt these usage patterns and stick to them. Whether that's actually happening is up for debate. Previously, setting a live wallpaper would dump the user into the main wallpaper picker rather than the home screen, making it anybody's guess whether the wallpaper was actually set. In 5.0 that got fixed. 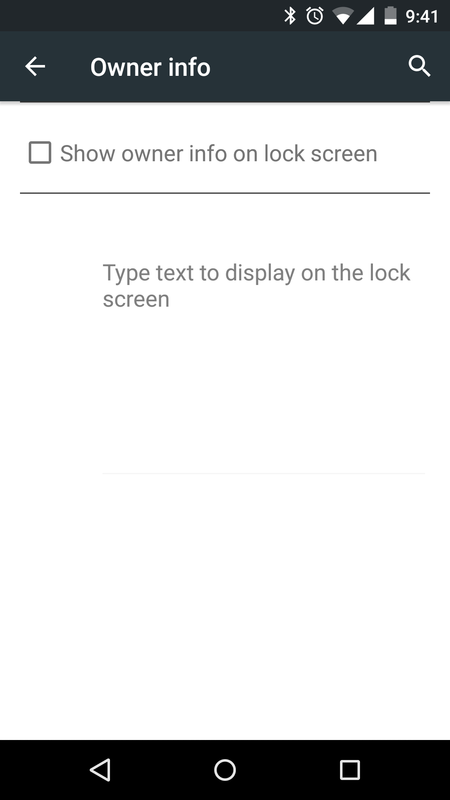 The lock screen security interface pre-Lollipop suffered from an outdated and awkward interface, with gingerbread elements floating around everywhere. 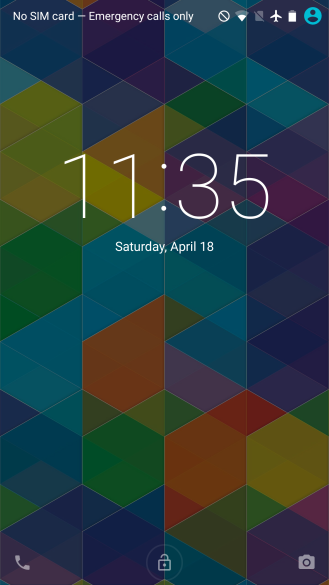 Since Lollipop, the individual lock methods have received refreshed interfaces in step with the rest of the platform, and the capabilities of lock screen security have gotten a huge boost as well. In SAIP 4.4 edition, I noted that Chrome's overflow menu scrolled even though there weren't enough items present to require a scroll bar. This has since been fixed by an app update. 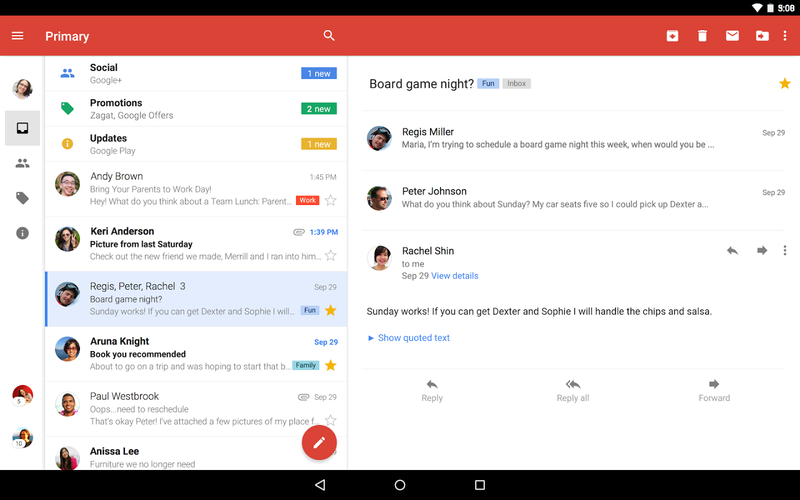 Gmail, likewise, had a bug that has been fixed in an update. Previously, swiping a message away and quickly touching another message would cause the second message to be dismissed rather than the first. 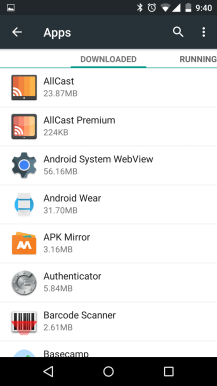 We'll continue working our way down by taking a look at some of the overarching issues with stock Android. Like last time, these will be independent of specific apps, using Google's apps to highlight or illustrate points. 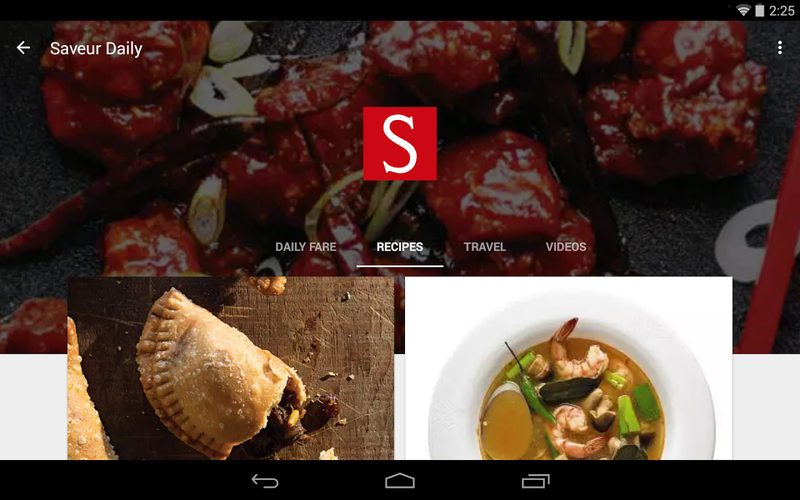 Android has had a PR problem with tablets since the beginning. With Apple's App Store as the most salient reference point, critics were quick to point out how few "tablet specific" apps Android's own market had. 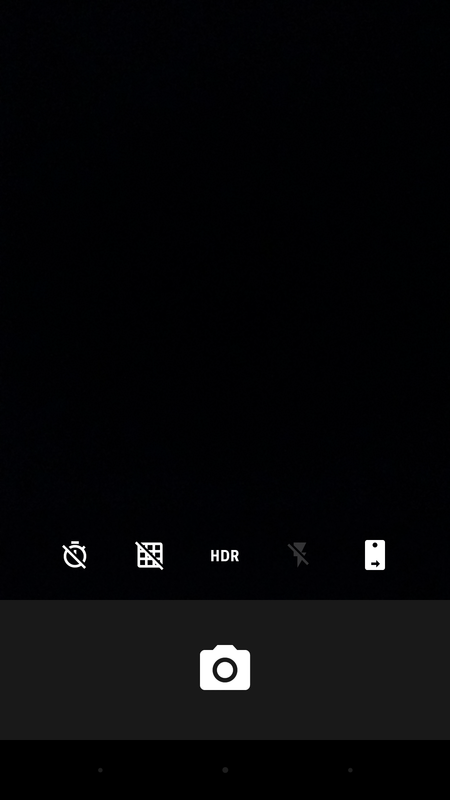 ... there's still a disconnect on Android about just how a tablet's display should be used. Of course that argument is pretty quickly put to bed once one realizes that separate apps for tablet and phone just aren't necessary on Android. 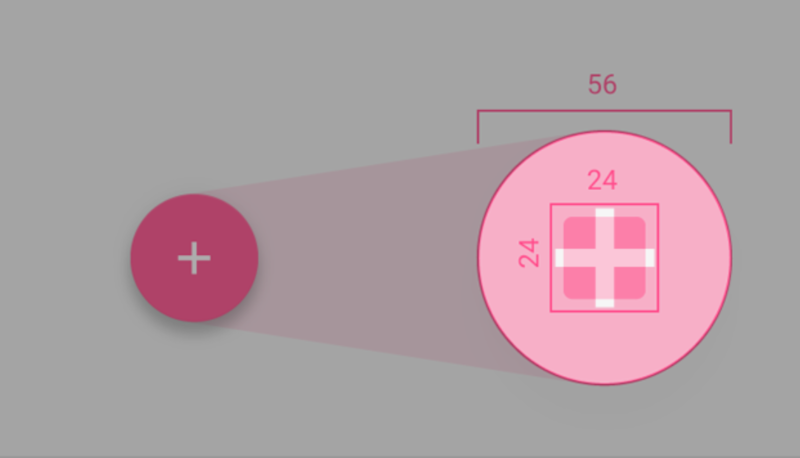 Using tools like fragments eases the process of designing and developing with tablets in mind, but there's still a disconnect on Android about just how a tablet's display should be used. There are those who want "information density" above all else. As I've pointed out before, that attitude is misguided, as information hierarchy should ultimately be driving with density along for the ride. So, accepting that premise, it should make sense that larger displays don't constitute an obligation to pack in more information. But there is an obligation to make wise use of space in any context. Currently the apps that are doing the best job at this are almost exclusively in the Play suite. At last year's Google I/O, Marco Paglia and Kirill Grouchnikov explained how the Play suite got to where it is with responsive design. You should watch the whole video but the short version is "cards." 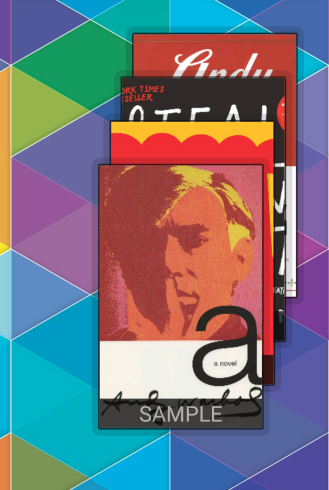 Every instance of media in the Play suite is represented by a card. There are movie cards, book cards, artist, album, and playlist cards, cards for apps, cards for games, etc. etc. etc. The structure on which the Play apps are built allows all these cards to coexist happily with one another, knowing exactly where to go in relation to larger or smaller counterparts. So in this sense, the topic of what to do with tablets is taken care of automagically. But content cards aren't the right answer for most apps. And, if there were something I could change immediately about Google's design guidelines, it would be the somewhat lacking guidance about designing for multiple screens. But even taking what clues we can from Google's work, it's still difficult to see what Google would recommend. 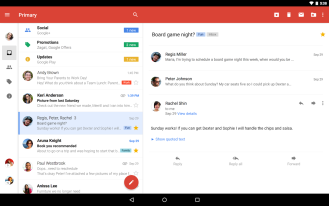 Gmail uses an ingenuitive approach - splitting the toolbar across two panes for the message list and individual messages, and transforming the navigation model to a sort of sliding panel with icons that can be tapped to get to actions more quickly. 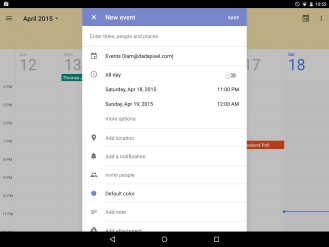 Inbox, Google's other major mail property, simply adds some padding to the layout. 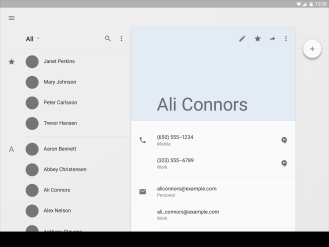 It could be argued that Inbox tones down the information density because it has a more narrow, somewhat more relaxed scope and tone. So let's look at another comparison. 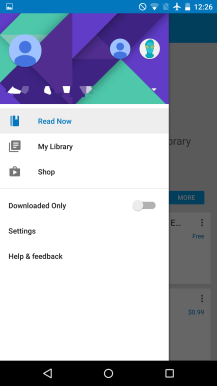 Google Play Newsstand is an app that has a bold, graphical layout. One that truly feels inspired by the spirit of material design - the print aesthetic combined with the magic afforded to us by digital surfaces. On the other hand we have News & Weather. The update to News & Weather was a very welcomed one - after all, it had been quite a while since the app saw any attention. But it too opts for a single column of content. From my perspective it doesn't seem like there's any underlying reason to stack all stories one on top of another rather than taking advantage of organizing them in a multi-column layout. Take a look at the explorations of George Kvaskinov. Completed as a Bachelor Thesis, Kvasnikov's reimagining of Google News only covers the web UX, but there are so many thoughtful, good ideas that could carry over to the app on tablets and make things so much more interesting. 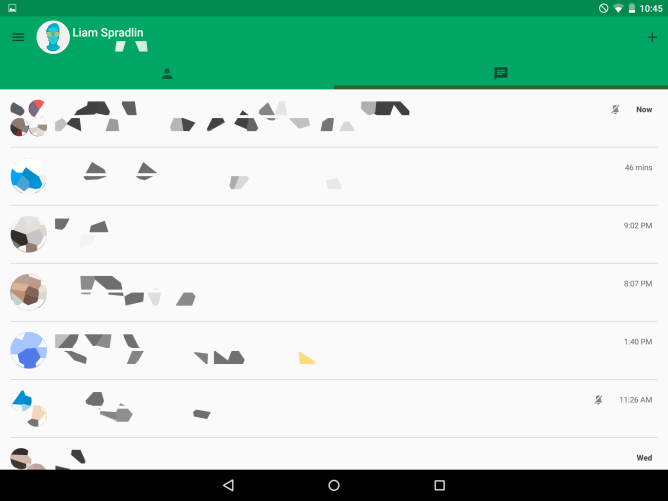 Perhaps the worst offender in the tablet arena is Hangouts. 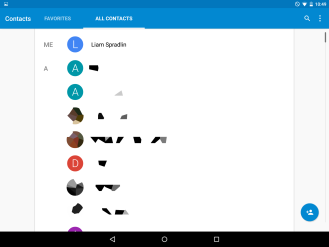 Members of the Android community have been dissatisfied with the Hangouts design overall, but its real issue is the lack of a tablet layout. There just isn't one. Still other approaches establish their own rules. 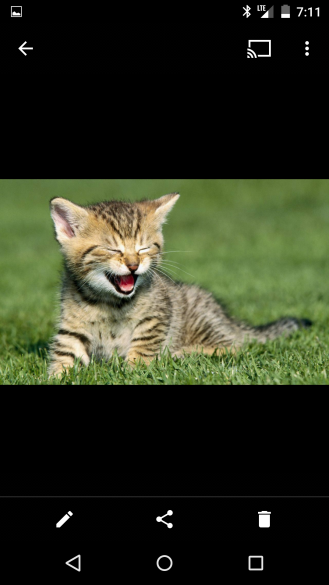 Take Downloads for instance. It's a floating window. Presumably this is because Downloads - like its twin the file picker - can be considered an ephemeral sort of pseudo-app. It's an app but it really serves as something more like a fancy dialog. Contacts is another strange example. 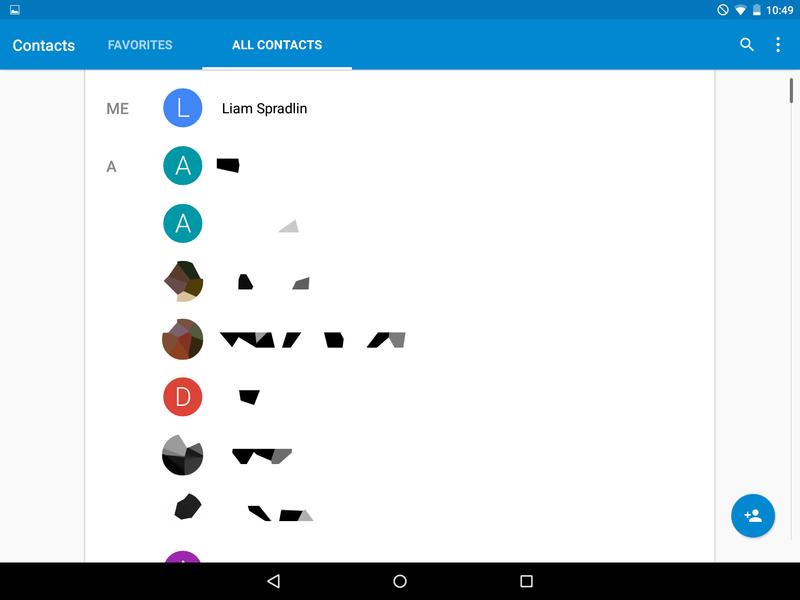 The main screen is a single column, and the individual contact screen is a bizarre two-pane mutation of the phone version. Google, meanwhile, has a perfectly good approach on display in its design guidelines. 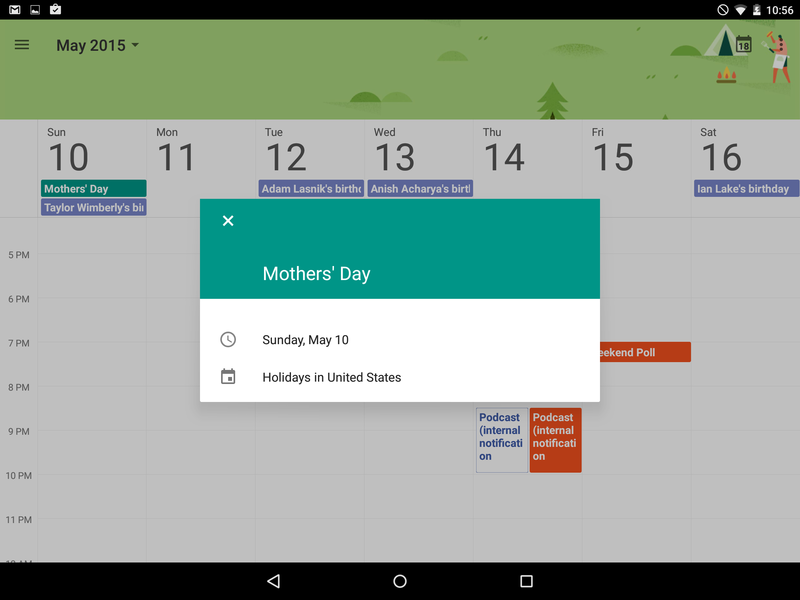 Calendar does things fairly well - showing layouts that make sense on tablets, and making things like the "new event" dialog overlays or popovers, which not only alleviates the awkwardness of a super-wide dialog activity, but also maintains context for users. The bottom line here is that, when it comes to tablet design, Google is not sending a clear message right now. 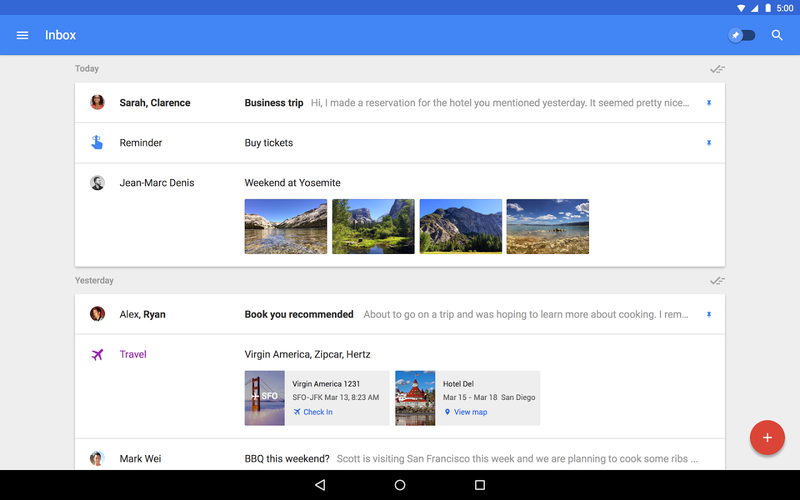 The variance among Google's apps is somewhat understandable since each product ostensibly has its own team working on that product's design. So of course some quirks will happen. But it's this writer's opinion that Google's own apps should strive to be a benchmark for third-party developers and designers. And the design guidelines would be well-served with some more specific guidance on tablet layouts. The measurements and basic structure are there, but it's clear that more guidance on how to approach tablet design in general is badly needed. 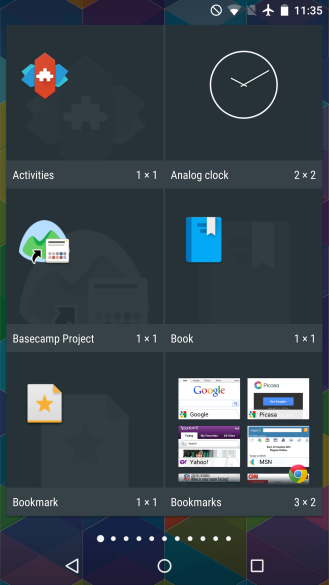 There's still some weirdness hanging around in the widget drawer besides the horizontal pagination. First, and perhaps most obvious, is the fact that - in 5.0+ - lock screen widgets are totally gone. This is an interesting choice by Google. 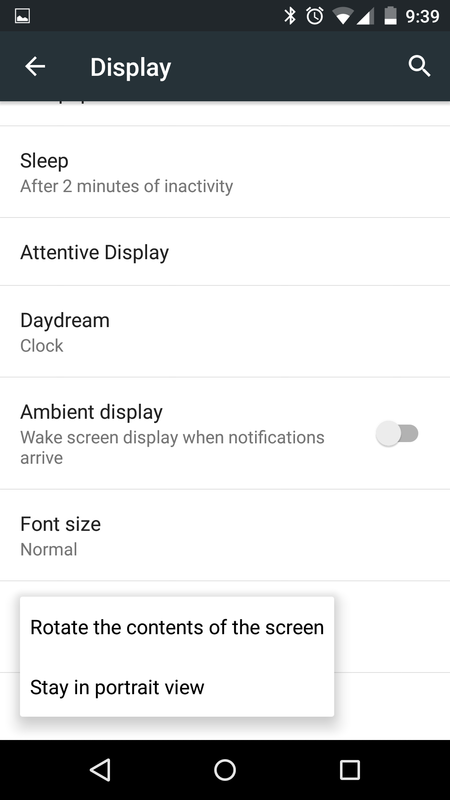 On one hand, it was a decision probably made to reduce conflict between widgets and the new lock screen notification system while not shoving one more thing into Settings. On the other hand a settings entry wouldn't be so bad to deal with, would it? That's the playlist shortcut widget for Play Music. 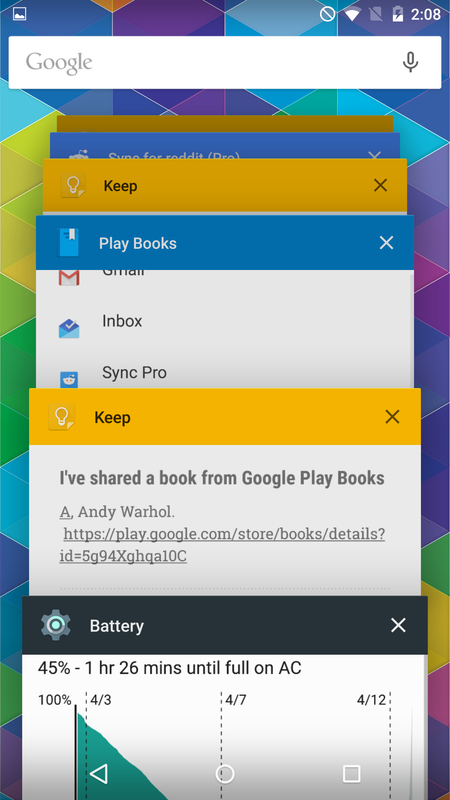 Likewise Play Books still has a holoyolo widget hanging around for thumbing through your book library. Also see the "Play Store" widget, which shows one suggestion at a time in a dated basket-ish container. 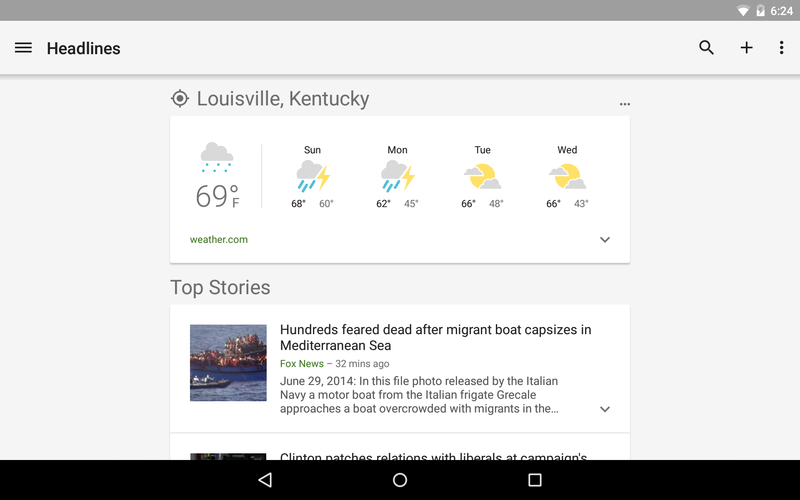 It's clear by now that widgets don't get much attention from Google, though they are still a nice differentiating feature for the platform. 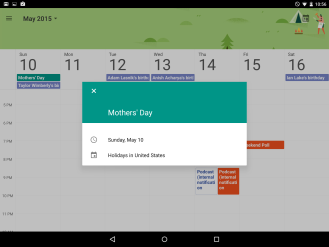 Even as a platform element, though, widgets are extremely limited. In some ways this makes sense, because widgets with too much power could really screw up your launcher experience, but at the same time I can't help wondering if widgets will some day shrivel up and disappear. Let's hope for forward motion in Android's next iteration. Overview isn't finished yet - right? The new overview screen is great, really. 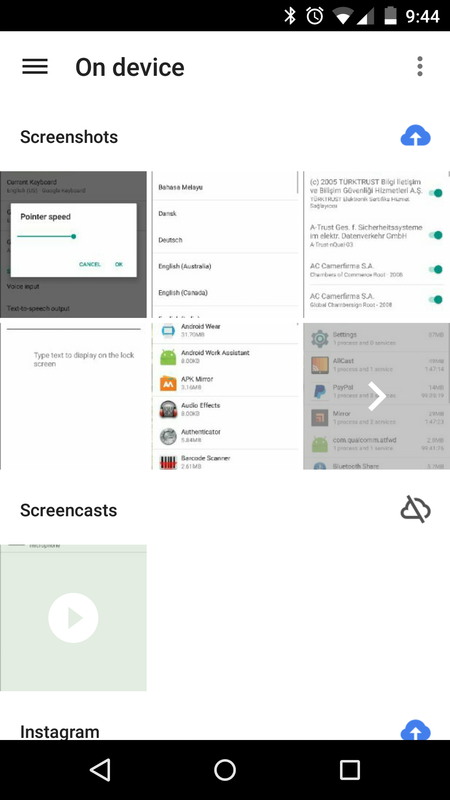 As mentioned above it obviated a few persistent problems with Android multitasking, and it's undoubtedly visually and functionally more rich. But it can't be done yet, right? Certainly the overview space has more potential. Google's compatibility guidelines for Android manufacturers specify that the overview menu must be able to hold at least forty entries. Also, entries in overview persist through a reboot. The problem with this is obvious, right? There's definitely convenience in having persistent overview entries, but they stack up very quickly, making it very slow to zoom back to a distant entry. Flinging to the back or the front of the stack is simple, but something that's, say, 1/3 of the way from the back is a gray area. The built-in solution to this is of course the colored title bar on each entry. Theoretically users could remember the primary color of the app they're looking for, and then scroll to that in the list, but in practice that's imperfect and unreliable. 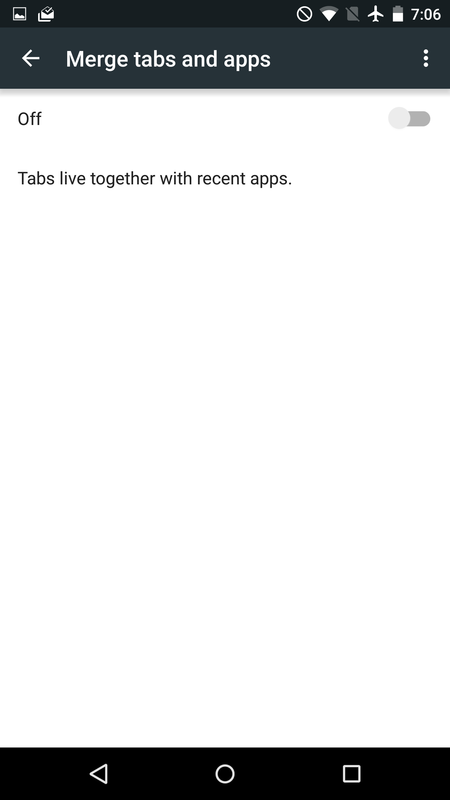 There has apparently been some code evidence that points toward per-app overview filtering, where a quick tap on an app's icon would filter overview for that app. Whether it will ever get implemented or how it would work is unclear, but this would be a pretty good approach. The action to filter needs to be present but out of the way, and this would accomplish both. Plus, we're still waiting to see if Google turns overview into a multi-window hub as we had previously heard. The stock settings app seems like as good a place as any to begin, right? There are plenty of pixels to pick apart here, starting from the top. 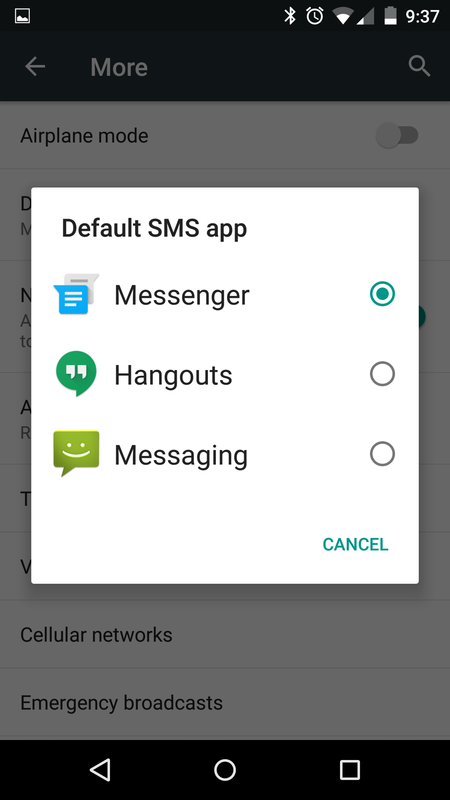 This one is an inconsistency - go to Settings > More >Default SMS App. A dialog shows up with all your options, and when you choose a default app, the dialog closes. Makes sense, right? So why then is the "Home" selector a full activity? 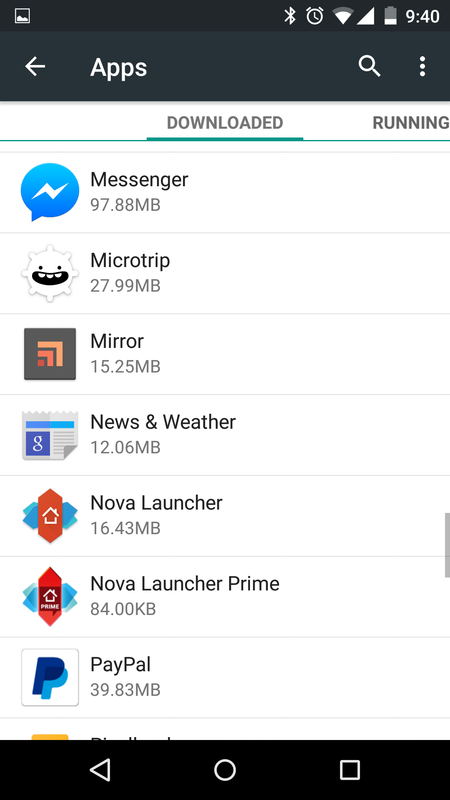 Ostensibly it's like this because Home carries the option to uninstall other home apps, but is that really necessary? From a speed perspective, a dialog would still make more sense. There are a couple of problems here. First, the "add" button seems to be an old holo icon. It's even partially transparent. 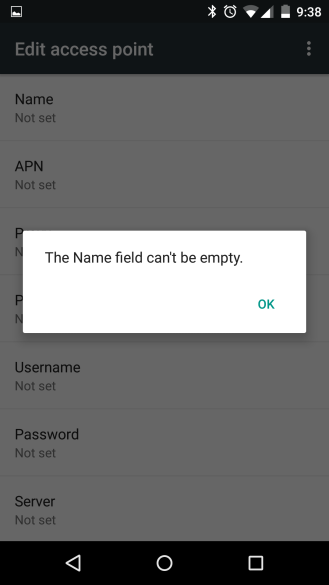 Next, if a user chooses to add an APN but then changes their mind, they'll be stuck in a loop of hitting back and being confronted with a dialog explaining that the APN "name" can't be empty, rather than simply backing out and discarding the new APN. To escape this, the user has to go to the home screen or clear the settings entry from overview. This option spawns a kind of pseudo dialog with a slider to adjust brightness. But there are two inconsistencies here. First, the box is more narrow than its quick settings counterpart (which ultimately lets the user see more of the screen, but that's neither here nor there when the user can already see ~90% of the screen) and, second, it's a dark gray color rather than the blue gray adopted by the rest of the settings app and the QS panel itself. Changing your wallpaper is usually as easy as long-pressing a home screen and selecting the appropriate option. 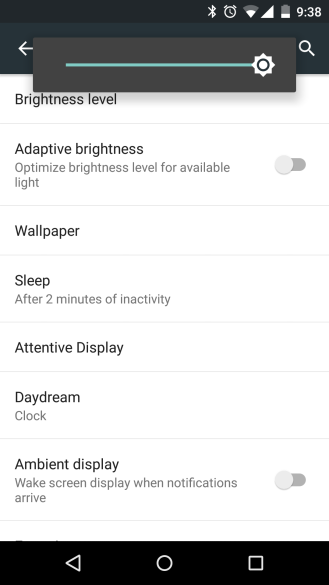 As a backup, though, Google has tossed the Wallpaper option into Settings > Display. 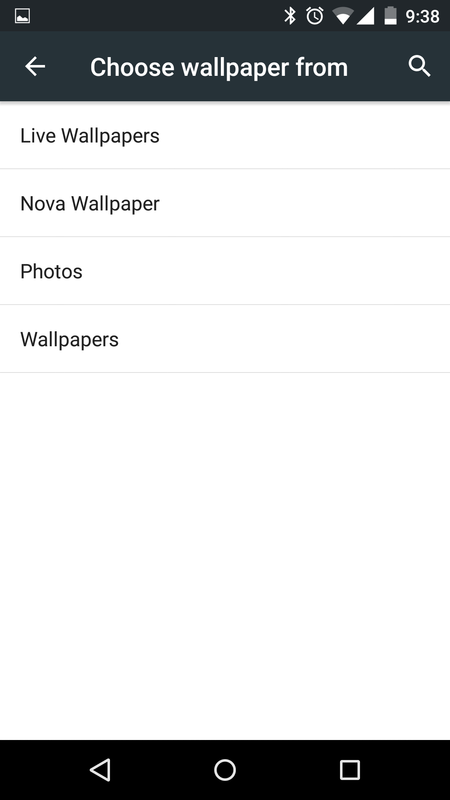 Hitting this brings up an activity titled "Choose wallpaper from" with a list of applicable apps like Nova, Photos, or any other gallery you might have. 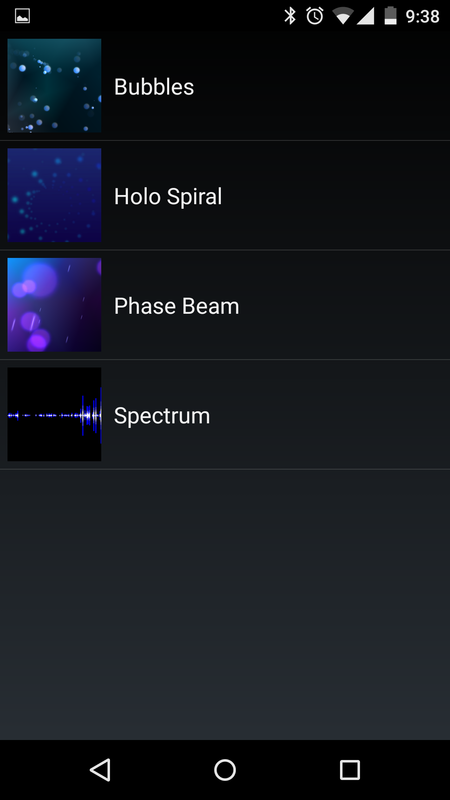 But then there's a Live Wallpapers and a Wallpapers option. From a user's perspective, what in the world is going on here? 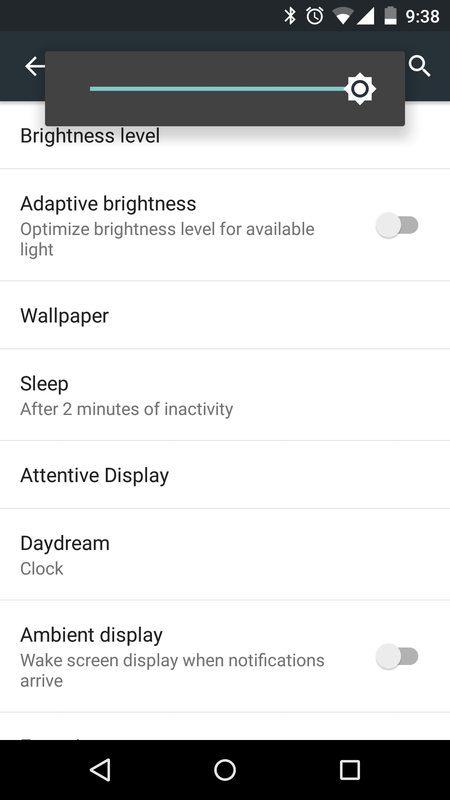 Google's stock wallpaper selector already handles live wallpapers, making the aged holo dark listview pictured above all the more confusing. In fact, the stock wallpaper selector can also access photos just fine through the document selector. All of that said, it's easy to see merit in a centralized list of apps that provide wallpaper assets. But this list could definitely use tidying up. Besides the setting's wording being slightly off-tone compared to the rest of the app, this option spawns a popup menu. Why? In Google's latest update to the design guidelines, this type of dialog is actually condoned, but to this writer it still seems like a really odd choice. Functionally, what's the difference between this and a radio button dialog? When 5.1 was still being introduced, we wrote about its new fast scroll bar that gave users an ample touch target and a more cohesive design for quickly scrolling through lengthy lists. The Apps interface is pretty much the perfect place for this scroll bar, and in fact it's present in the app list under notification settings, but not a single tab in the main Apps interface has a fast scroll bar. Go to Location settings and then tap any listed app. 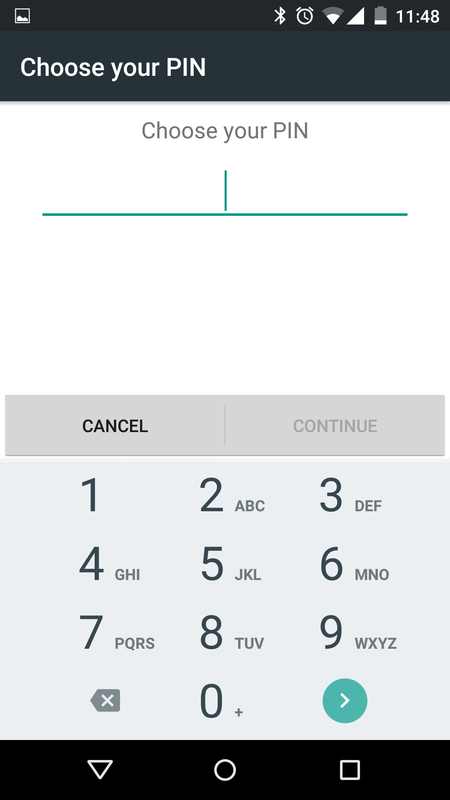 Now press your device's back button. You'll be dumped out onto the home screen without warning. In the overview menu, the screenshot still shows the app you were looking at, but tapping that card will actually take you back to the main settings activity. This screen is a little odd. 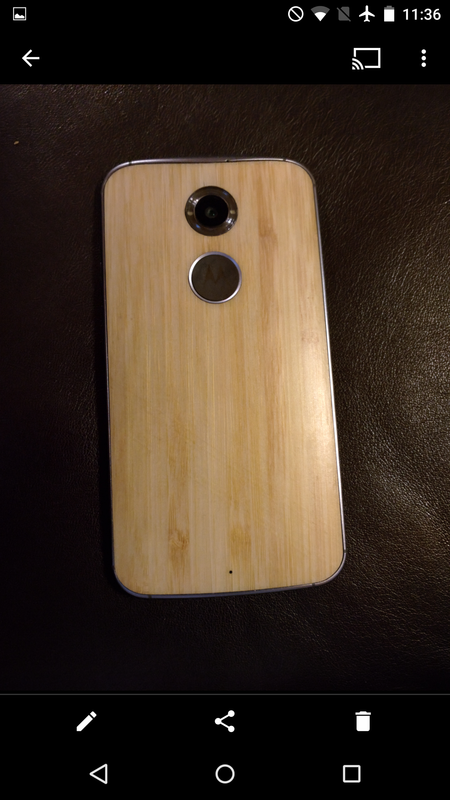 From top to bottom: there's a strange extra line visible below the toolbar on the Nexus 6, spanning about 328dp. Next there's a checkbox line item. The checkbox doesn't seem to be aligned to the same 16dp line as the back button in the toolbar, and the text is squeezed about 8dp from the box, while there's actually plenty of room for it if it were aligned to the same line as the activity title. The owner info box itself is strange, too. It's shoved over from the left by a considerable margin for no discernible reason. 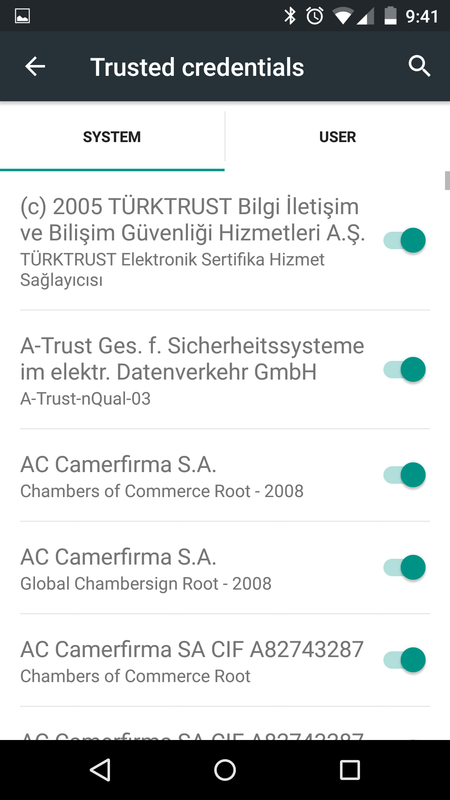 Interestingly, the Trusted Credentials screen is using an outdated style of tabs, rather than the new tabs introduced with material design. This is a small complaint (if we're honest this whole post is a collection of small complaints), but in this writer's view the language selector could serve its purpose as a dialog with radio buttons rather than a full activity. 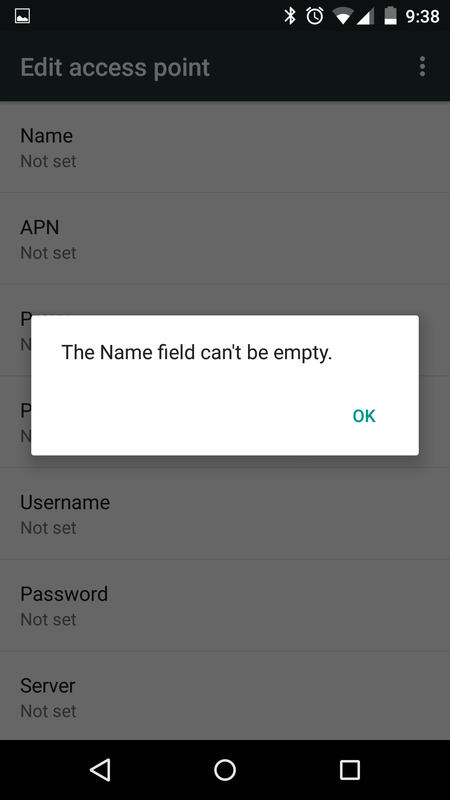 Other long lists - as mentioned above - already use a dialog in the settings app. 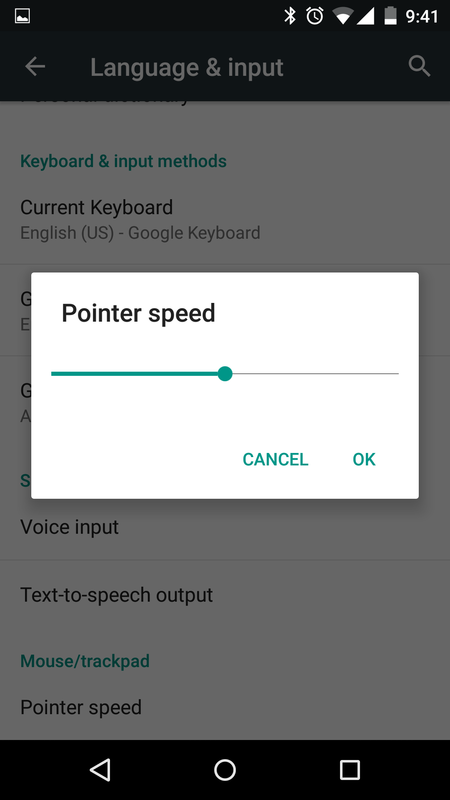 The pointer speed option is simply a slider. That's it. No indication of any relative values, just fast or slow based on your position on the slider. I can't help feeling like this would be better served with a more informative dialog, even if it's a rarely used feature. Besides the widget drawer, Google's launcher has some issues of its own. One of the most apparent is its harsh visiting policy. By visiting, I mean opening the launcher without committing to keep it as your default. 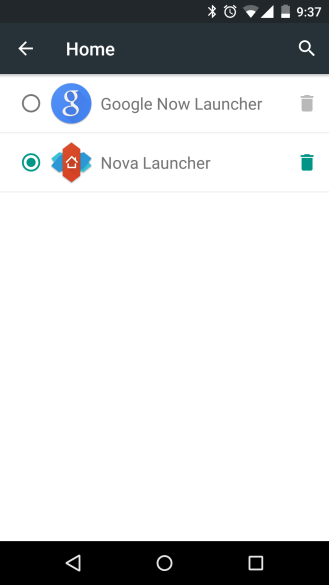 From a user-facing perspective this makes some sense, since a user might open the launcher, assume it's now the default, and be confused next time they hit the home button. This goes back to Google's "smarter" philosophy I mentioned in GTKA. When you are confronted by the dreaded "make this your default home or gtfo" message, it's holo-style. 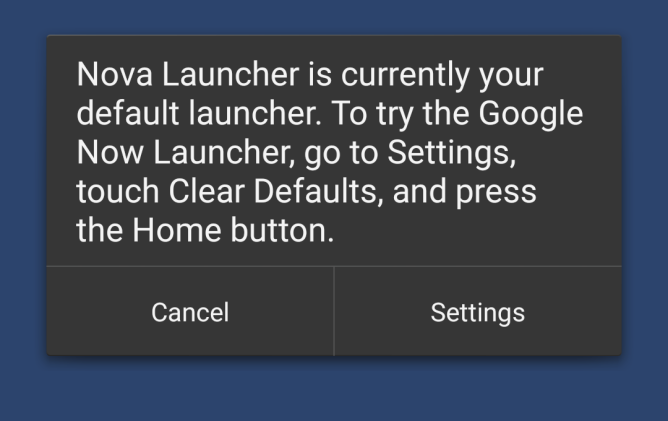 Oh, and the actual message applies to pre-L devices too, since Lollipop has a much simpler "Home" option in Settings to change your launcher in just one click. 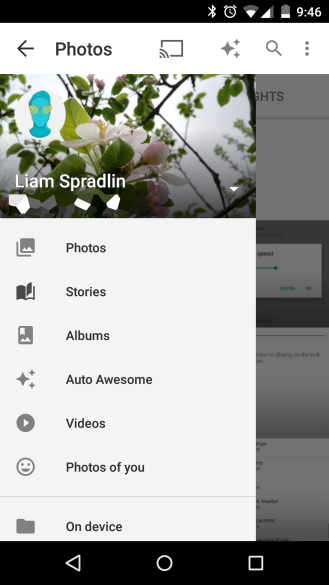 Photos is still one noodle in the Google+ spaghetti. There have been rumors for a long time now that the Photos app (and indeed the Photos service) will split off from Google+. The Photos app has now replaced Gallery on stock Android, but I think this handoff happened a little too soon. Photos being integrated with Google+ isn't necessarily a bad thing. 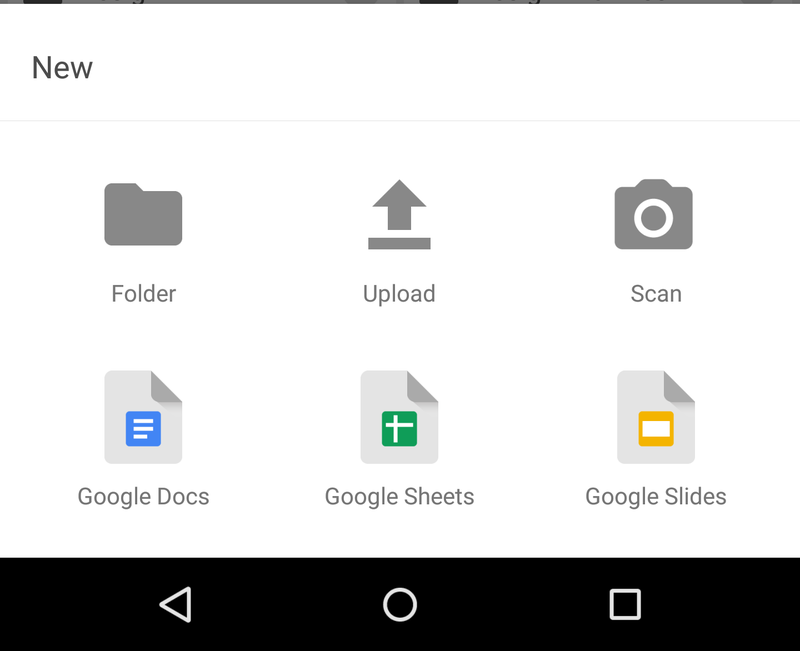 Most of the awesome things the app does are meant for sharing, and viewing shared photos on Google+ uses the same paradigms as viewing them discreetly in your personal photos. The frustration, for this writer, specifically centers around the way the mobile apps are tied together. 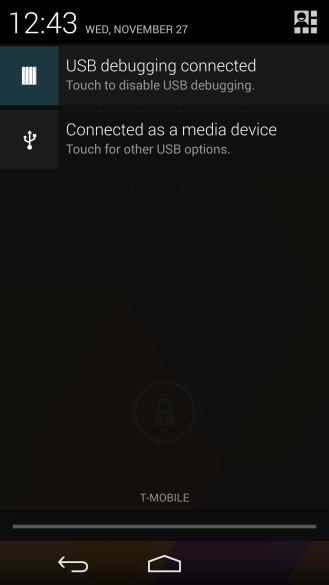 It is possible, on Android, to get trapped in Photos, where pressing the Google+ launcher icon somehow drops you into Photos, and attempting to back out of Photos dumps you onto the home screen - there's no clear path out of Photos and back to Google+. 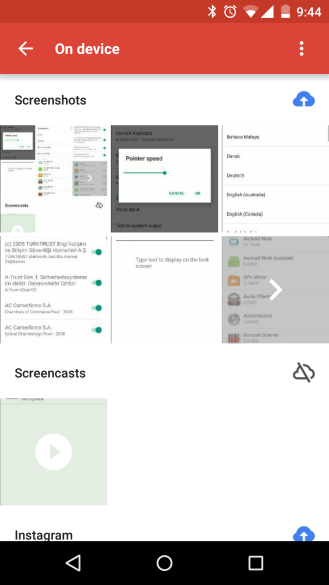 If the user captures a screenshot and taps the notification, then navigates "up" through the back icon a few times, they'll end up on Google+. And by the way, that "on device" interface you'll pass on the way through is different from the one that exists discreetly in the Photos app. Ultimately, Photos is still one noodle in the Google+ spaghetti, and since Photos is now the default gallery, this sort of confusion shouldn't theoretically be possible. Oh, and the hamburger menu is still non-standard, and for some reason the "stories" icon is a darker shade of gray. One other issue with Photos (thanks Pascal for pointing this out) is that opening a saved or downloaded image from a notification gives users a different (more limited) interface compared to opening the very same image by explicitly opening the app. The reasoning behind this isn't clear. After all, are sharing and deleting less important functions for a downloaded image? When selecting items in Downloads, the toolbar takes on unbalanced, oversized icons for sharing or deleting files. Additionally the toolbar's color changes to an unexpected dark gray from its usual blue gray hue. You can probably guess what I'm going to say, right? Camera2. 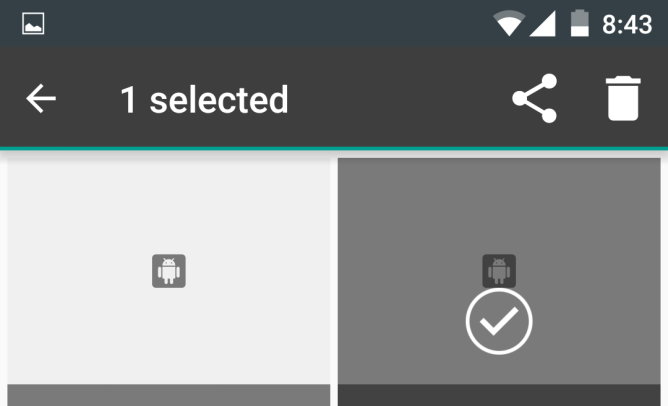 For those not up-to-speed, Camera2 is the new camera API officially introduced with Lollipop last year. The API gives significant performance boosts to camera apps, along with finer controls for things like ISO, exposure time, focal length, metering regions, and a lot more. But perhaps the most exciting bit is support for DNG files. 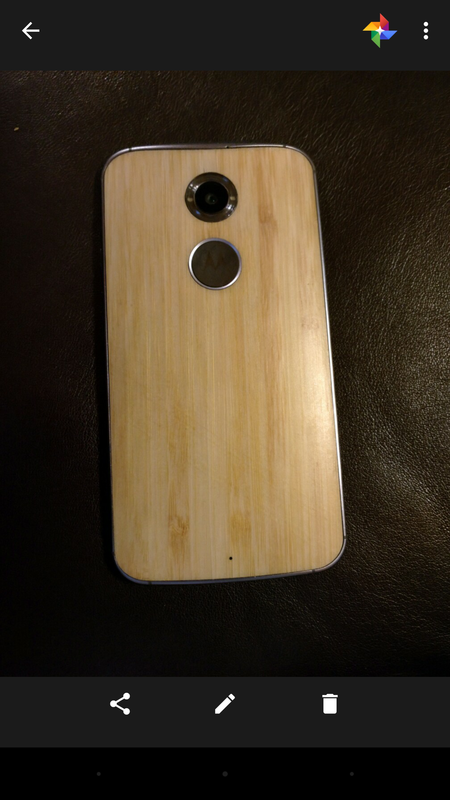 So far though, Google's own camera app hasn't taken advantage of Camera2. There's a mysterious "manual exposure" toggle in the "Advanced" settings, but - while Google Camera seems to contain some Camera2 code - none of the exciting treats introduced with Camera2 have come to light in Google's app. Chrome's visual design has matured a lot since the app first hit the Play Store. 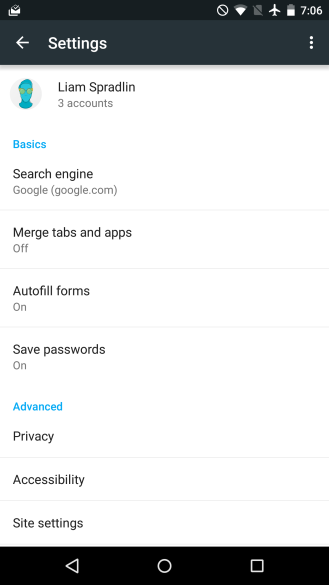 For power users there are certainly still things that could be improved, but for this post I've got just one quibble - merging tabs and apps in settings. 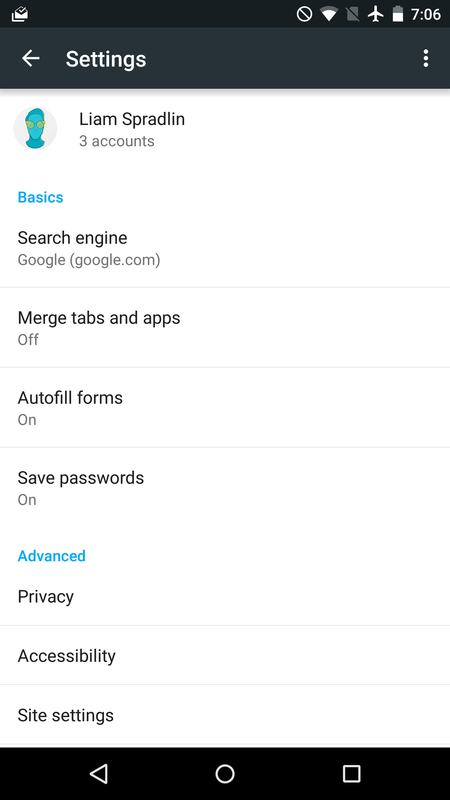 In Chrome's settings, this option gets its own line, which leads to another screen with a toggle. Just a toggle. There's another line of text, too, but this toggle and that text could easily be moved into the settings to give quicker access to the option. In 5.1, the Clock app added some awesome new animations, but one minor issue still lingers - the app uses a floating action button, but the icon inside that button fills significantly more than the standard area suggested in Google's design spec. Here's an overlay. 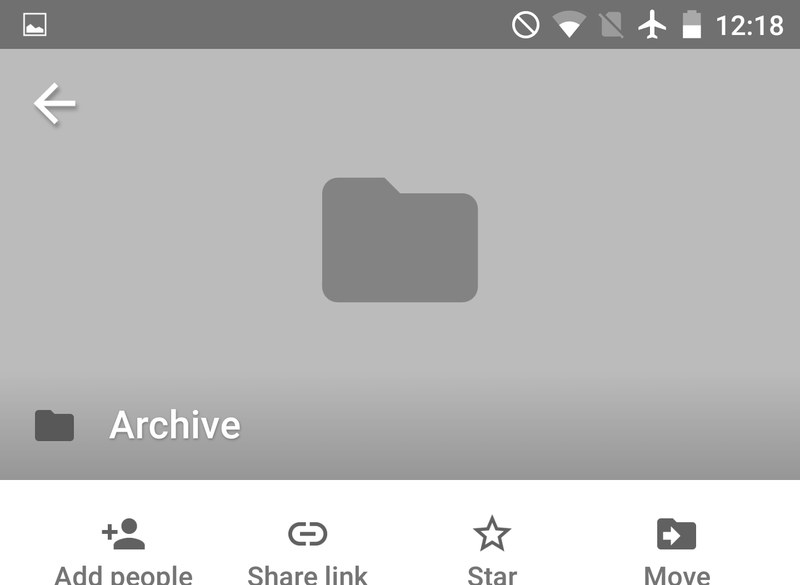 The "plus" icon itself is pretty heavy, but it also extends into the trim area of the icon, something Google says should be avoided. Google Drive uses a floating action button, too. The icon is appropriately sized, but the FAB triggers a bottom sheet, which - again judging by Google's spec - would be better substituted for a speed dial. 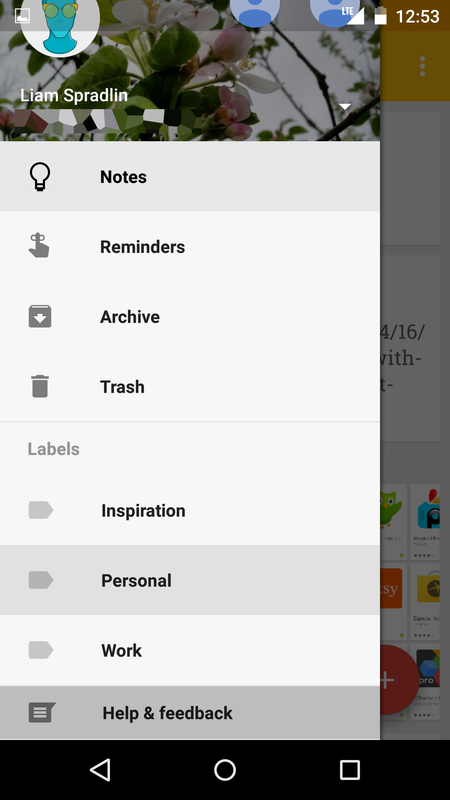 Additionally, when a user enters a folder, the "back" arrow has a drop shadow. This isn't necessarily a problem, it's just something inconsistent with the rest of Google's apps. Like Photos, this will probably be an obvious one to some readers. 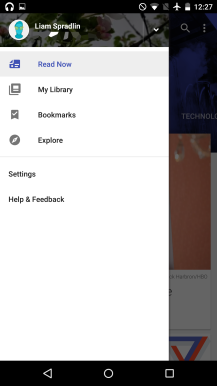 The main problem in Google+, right or wrong, is the navigation model. 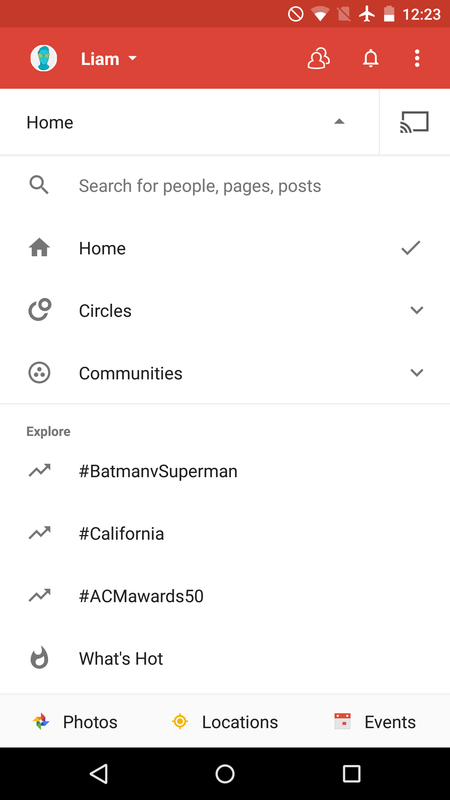 Google+ uses a unique model in that it relies on a drop-down bar on the home screen to get to different sections of the app, including trends, communities, circle-specific streams, photos, locations, etc. 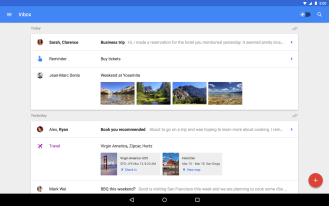 Ostensibly, this change represented an effort to escape the nav drawer, opting to organize destinations in contextually-appropriate places with the amount of emphasis the teams behind Google+ deemed appropriate. Unfortunately it hasn't exactly resonated with users, which is an important measure for UI decisions. Pretty much since the day the nav drawer got killed, users have been asking for it back. 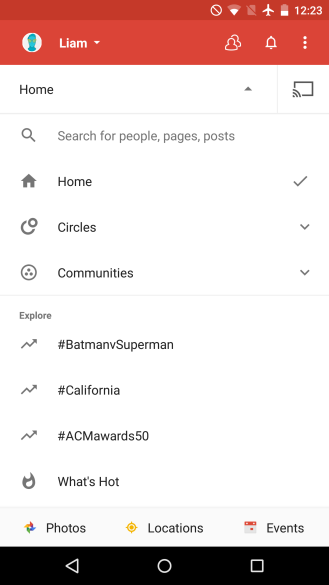 Obviously we don't have inside knowledge or access to actual usage or engagement data, but it definitely seems at the outset like Google+ might be better served by a more conventional navigation model. After all, the expanding rows like Circles, Communities, etc. would exist just fine inside a drawer, right alongside all the bits and pieces scattered in the rest of the bar. Google+ has another (more minor) issue, too - it's still carrying a strange, quasi-holo dialog for selecting which page to manage. Back in October, I did a roundup of the many faces of Google's hamburger navigation drawer, showing all the variations that existed at the time. Thankfully, many of these implementations have been cleaned up. 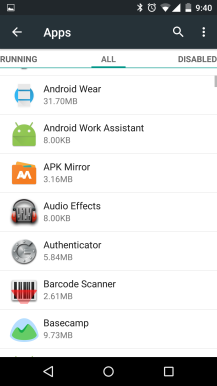 Unfortunately, a few apps are still a little behind. 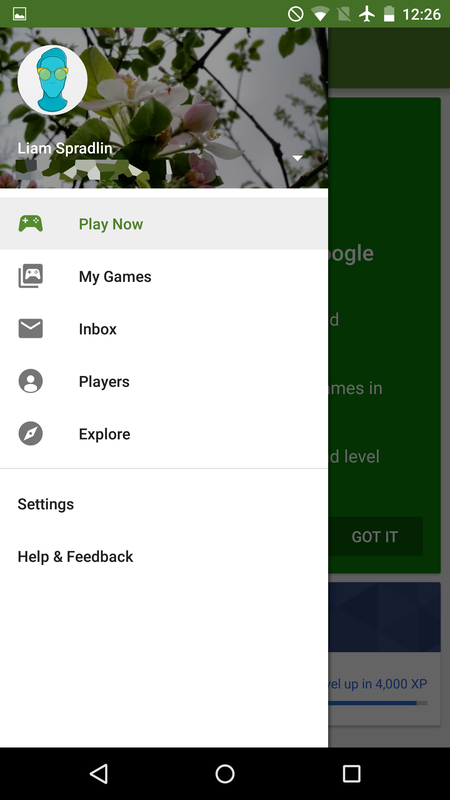 Play Books and Play Games are really close. 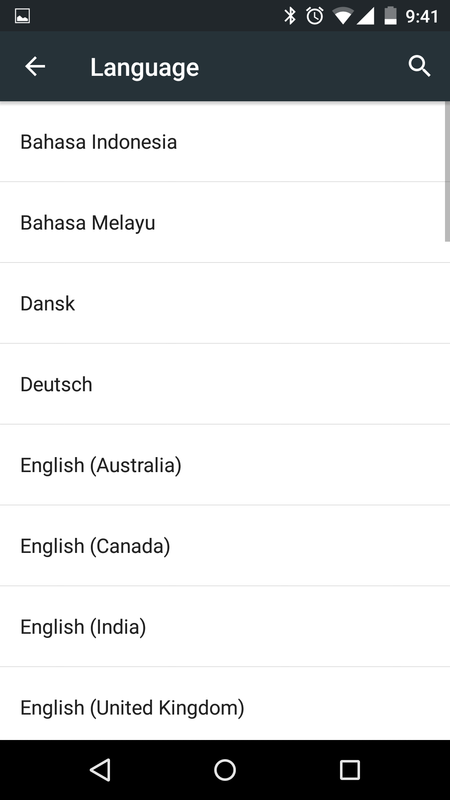 The only thing missing is the tricky under-the-status-bar effect found in Google's other apps. Play Newsstand on the other hand is still using a mini profile picker. Also note that in all three shots below, the profile picker is a different size. There are a couple more Play-related issues, too. 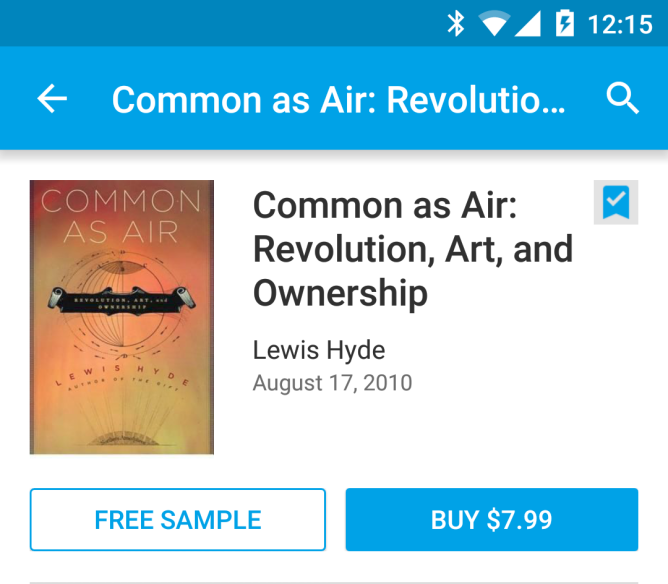 First up, viewing a Free Sample from a book on the Play Store actually ends up spawning a Play Books entry in Overview. 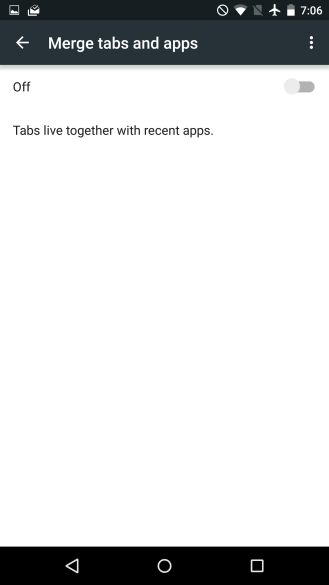 But the activity's origin point is in another app (Play Store), and the activity apparently isn't tied to that origin point, so hitting the back button drops you off at the home screen, with the Play Store and Play Books in Overview. Additionally, the touch target for adding an item in the Store to your wishlist seems abnormally small. Since it's in a pretty big field of white this isn't a huge concern, but it would still be good to see a slightly more ample target. One minor thing here - in the nav drawer, the touch target for "Help & Feedback" does not appear to be the recommended 48dp. For reference, the nav bar below is 48dp. 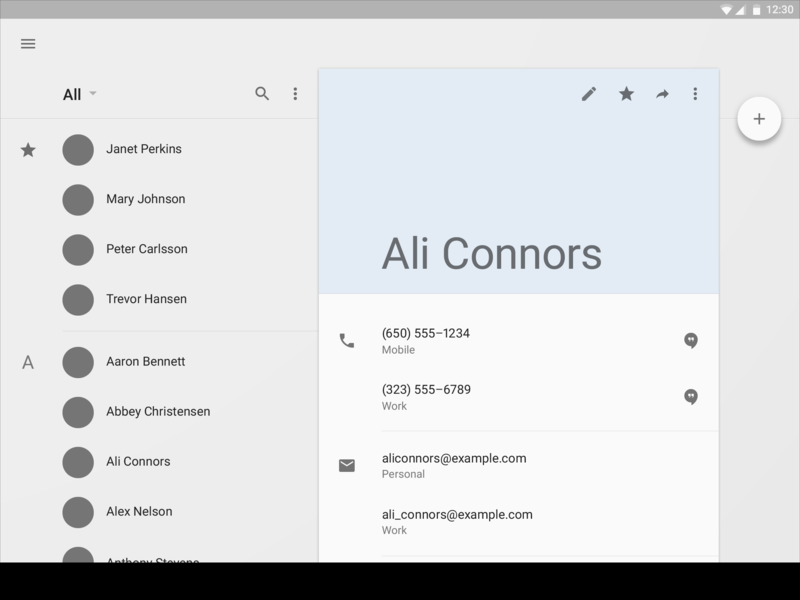 The icon also makes it somewhat non-standard, but some of Google's other apps - like Inbox - also use an icon next to this entry in the drawer. That just about does it for my list this time. Notice anything I missed? As always, it should be noted that Stock Android Isn't Perfect is a piece we post at AP not to aimlessly criticize the latest OS, but because we love Android and would love to see these issues fixed, and we love getting to know Android's latest releases for better and worse. Here's looking forward to the next iteration!